This past weekend was my fifth time participating in the Colorado Bike MS. It's a big party on bikes...with a few hills thrown in for good measure. 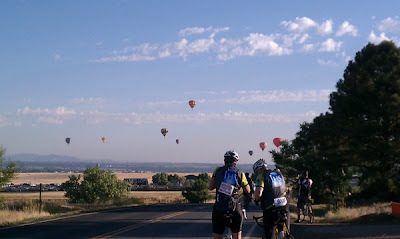 As we were riding somewhere between mile 10 and mile 30 I told my Mom that last year I had seen hot air balloons. And then we turned a corner and BOOM! The early morning Saturday sky was full of them. 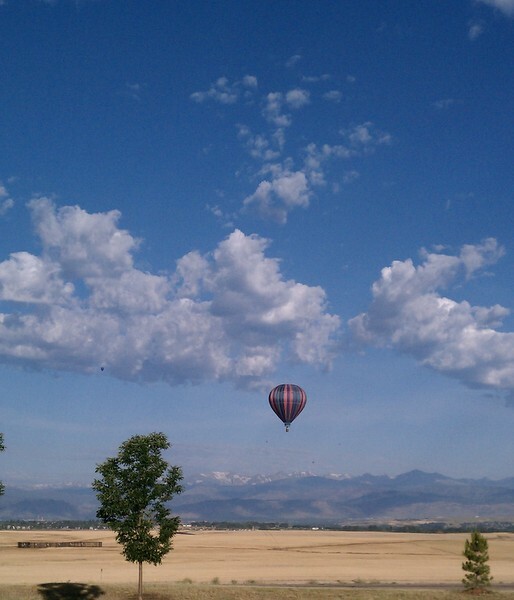 What a gorgeous backdrop for our ride. When we hit rest stop #2 we were in the heart of the balloon action. Everyone had their phones out to take a quick shot while fueling up on water and bananas. 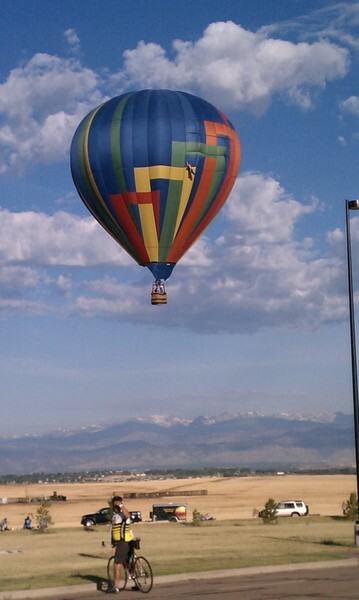 Have I mentioned how much I love Colorado? I think that Bike MS is a great event to get into, no matter where you live. You can prove to yourself that you can do more than a casual ride to the farmer's market or ice cream shop. If you get a view like this, that's just icing on the cake. Have you done a long distance fundraising bicycle event before? Which one? It's true. Google Reader is gone. Yesterday I could read it on my phone and today? Nada. Good thing I've migrated all my favorite reads to Bloglovin'.